Three Columbia University students were tragically killed in a Honduras bus accident on Wednesday, Columbia University's president said in a statement. The victims were identified as Columbia College student Olivia Erhardt, Barnard College student Daniella Moffson and Abigail Flanagan, a Columbia University Medical Center nurse practitioner and General Studies student. The three students were volunteering in Honduras with the Columbia chapter of Global Brigades, which provides medical support to developing countries. "This terrible and tragic loss is all the greater because these individuals were dedicating their passion and very special talents to serving those in need," Columbia President Lee Bollinger said in a statement. "No endeavor more proudly exemplifies the traditions and values of our University." Bollinger also confirmed that other Columbia students were hurt in the crash. Global Brigades Association co-founder Steven Atamian said in a statement that the organization is "deeply saddened" by the deaths. "Our heartfelt sympathy goes out to all those affected by this tragedy," he said. 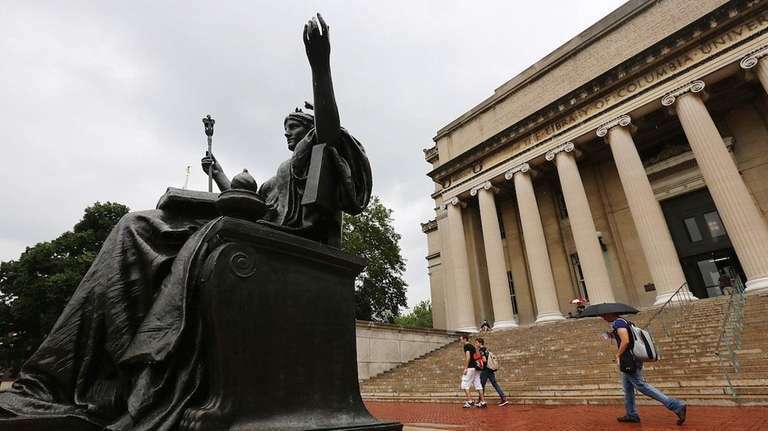 Bollinger said that counseling is available for students at the Columbia Morningside, Barnard and Columbia University Medical Center campuses.